Running a successful business requires collaboration and cooperation between a whole range of job functions, enabling them to work together to maximize customer satisfaction while optimizing profit margins. Running a successful business requires collaboration and cooperation between a whole range of job functions, enabling them to work together to maximize customer satisfaction while optimizing profit margins. Lantek the leader in sheet metal and structural steel CADCAM and ERP systems, has introduced the concept of Lantek Factory, which brings together its complete suite of software to achieve the aims of efficiency, communication and profit. Once accepted, the sales order is processed and passed to production planning where the production order is placed and the job is fitted into the production schedule. 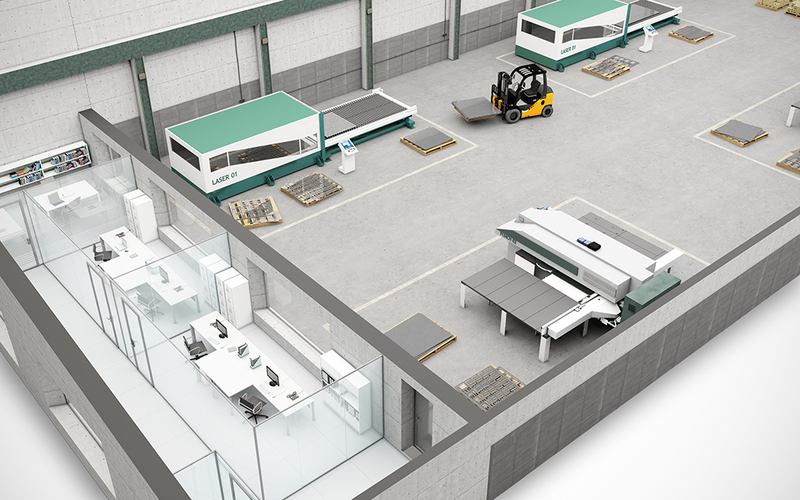 Next the production engineers create the program, allocating the machine and the material and nest the parts to maximize material utilization. Shared information goes to the warehouse where material is delivered to the allocated machine ready for manufacture and stock levels are updated triggering reordering of material where necessary. On the machine, the operator logs start and finish times to record the status of the job and the manufacturing times as the parts are being produced. This real-time information goes to the Administration team where delivery notes and invoices are raised, information about the cost of the job consolidated and instructions for shipment of the parts issued to the warehouse. Managers have an overview of the complete process so that they can monitor production and the status of individual jobs and keep themselves informed about overall business metrics such as profit margins, sales and delivery performance. The Lantek Factory concept brings together all the Lantek products necessary for the each application into one integrated solution, enabling Lantek to tailor a solution for individual companies that will mimic the structure and interrelationships of all the different areas within that company to produce significant improvements in efficiency. 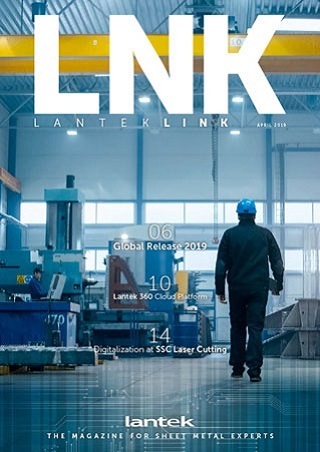 Lantek is a leading global multinational in the development and commercialization of software solutions for the sheet metal and structural steel industry. Its capacity for innovation and its firm commitment to internationalization and the development of emerging markets has led Lantek, founded in 1986 in the Basque Country and with head offices in Vitoria-Gasteiz (Spain), to become a global reference in the industry with its CAD/CAM/MES/ERP solutions. Today, the company has over 12,000 clients in more than 100 countries, offices in 15 countries, and a wide network of distributors providing worldwide coverage. In 2012 its international operations provided 85% of its turnover.